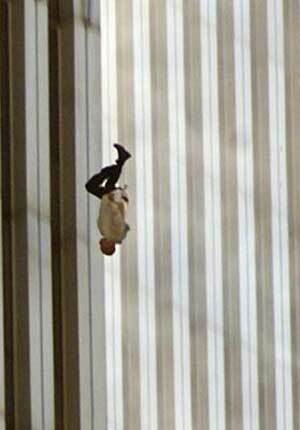 It was a Tuesday and a crystal clear fall morning, September 11, 2001. My sixth graders were in art first period, and I was doing planning for the week. The principal popped in and said, “Turn on your TV!” Seeing the now famous images hit me like a ton of bricks, as well as disbelief. My head was swimming, filled with questions, and I was dizzy with it all. Hurrying down to collect my class, another thought hit even closer to home. My son and daughter-in-law live in New York. Are they safe…out of harms way? Neither of them worked in the WTC, but the nature of the city and the world’s business is that people are out and about having meetings all over. I ran to get my phone and got a busy signal! A few minutes later, I tried again…busy …still. This happened over and over. These phones we had for emergencies didn’t work when I was experiencing the biggest emergency in my life. This was the situation with the phones for hours because the cell tower was on the top of one of the twin towers. There was no personal communication available. Parents began to come to get their kids ,as at that point, we had no details. Would there be more attacks? Was this beginning of a huge war? The school was called together in the church for scriptures, prayers and music. It was comforting. Someone told me that the reason that the phone was busy, busy. . . the cell tower was hit and down. 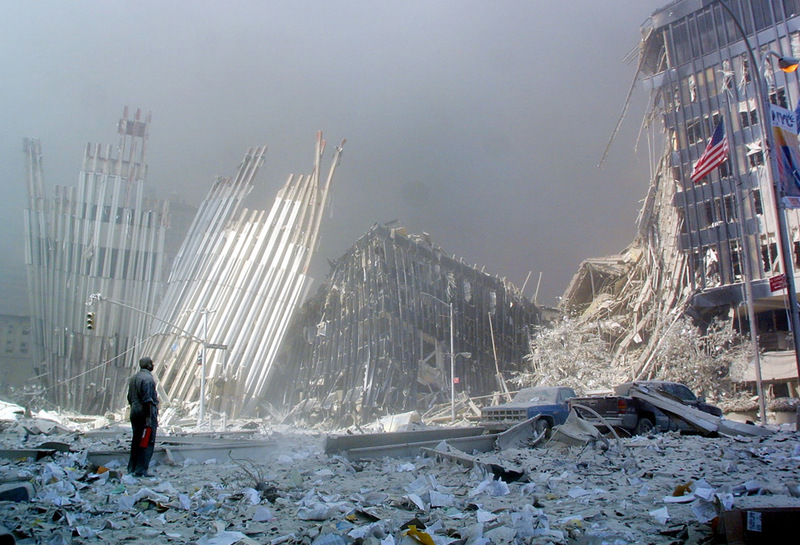 We went through the motions and sometimes just sat quietly and still ,watching both towers fall.I hadn’t heard a word from my son….I prayed silently. Stories were circulated in the school of parents who were in the City for meetings that fateful day. Where were they? Were they safe? More people to pray for. No answers, just those dreadful pictures. . . . .
Then at 12:30 the secretary came to my room. Chris had called….if he called , he was alive! Thank God. Both he and his wife were safe and unharmed. He had been in West Chester that morning and his wife worked in mid-town near Grand Central Station. He was not able to call because of the trouble with the cell phones. Later, I would hear stories, mostly from my daughter-in-law. People in her office had noticed the second plane flying low past their window. It was a surprise and a wonder as flights over mid-town are not allowed. Soon they found out about its dastardly mission. She said it was announced fairly quickly that the island of Manhattan was going on lock down. No one could leave or enter over the bridges, through the tunnels, or in the trains until it was deemed safe to travel. Friends in the office, who lived in Manhattan, invited others to come to their place. Someone noticed the senior partner had gone into his office and locked the door. He would not answer the questions of “What shall we do, stay or go?” When the workers left, he was still in his office, paralyzed by the situation. Later she told me that the streets were filled with sirens, shrieking and wailing continuously. After a few hours, it was deemed safe to open the transportation and Demone was waiting for a train to Sleepy Hollow from Grand Central. There was a large commotion and people started running and screaming. Someone had yelled, “Bomb!’ and the nervous crowd had gone crazy. It turned out that this was a hoax….can you believe anyone could be so cruel? A cab driver, I spoke to a few weeks later, told me he was driving that day. He remembers the sirens, and horns honking, honking continuously. People were using their cars as weapons slamming into others to squeeze through the nearly stopped traffic. Cars were scrapping into the guardrails trying to escape. There were stories of people walking for miles, some just wandering aimlessly. When the kids met up at home, they decided to go to the hospital and give blood. At that time, people thought it would be needed and wanted to do something. They stood in a huge, non-moving line for 8 hours, to learn that little emergency blood was needed because of the lack of survivors. At one point, I was struck with the question if there had been school children on the roof. But thankfully, I remembered that it didn’t open until 10:00 as I explained yesterday. On my way home, I went to CVS and saw the mother of a student who had gone on one of my trips to New York. We both cried with the remembrances of that wonderful trip, that she said her daughter still talked about, and the sudden, swift, horror of this day! President Bush had suggested that at 7 pm, people stand on their porches with a lit candle to signify “the light the US wished to shine in a dark world.” We did it, which surprised me that my husband agreed. He is not very emotional or sentimental, but he stood next to me with tears running down his face, holding his candle high. Later I was lying in bed unable to sleep with all sorts of images, and words, and questions filling my brain and refusing to be turned off. This day 90 different countries had lost citizens just trying to do their work. And my last grateful thought was of Chris calling to tell me that he and Demone were safe and well. He knew, of course, that I would be worried out of my mind. I suddenly thought of all those Mamas all over the world from 90 countries, with almost 3000 children who were unable to call to say, “Mom, I am alive and safe!” For ages, I remembered that daily, and would pray for comfort for those dear women. 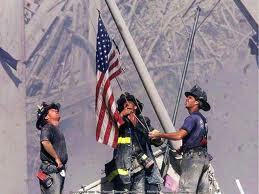 Today, I pray for them ,who have not forgotten and never will, this day when their hearts shattered to pieces, 9/11/01! 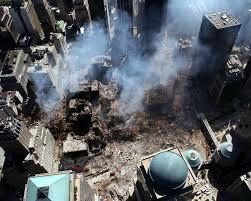 People all over the world have a story of 9/11/01, where they were and how they learned of this world wide tragedy. I would love to hear your tale. 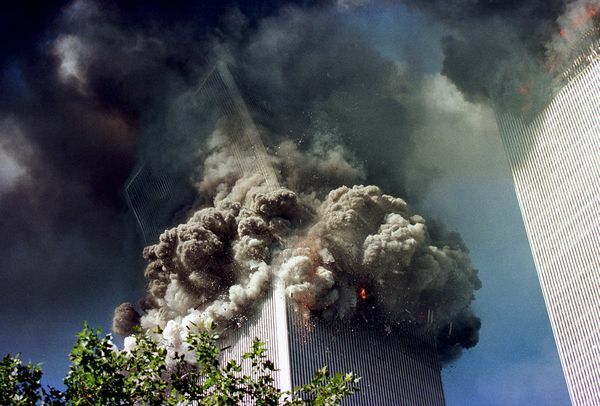 This entry was posted in Uncategorized, USA and tagged 9/11/01, attack, bravery, first responders, Heroes, lower Manhattan, never forget, New York City, planes, World Trade Center. Bookmark the permalink. A personal story, one of the many ….. Remembering! I was are work that day. I worked as a physician with the VA in Jacksonville, Florida. I was taking care of patients that morning. I didn’t see the it’s plane hit ….. The TV was on in the waiting room … all those waiting saw and the news spread. When I finished the patient I had, I went out. I couldn’t believe was I was weeping. To me it was a movie that was being played over and over again. Then I saw the 2nd plane! I saw that one hot and then slowing, in agonizing loss motion, saw the buildings collapse. A day that will be etched in. My memory forever. Yet …. I had to go back to work ….. I didn’t want to. I want to stay glued to the tv. Needless to say … I was glued toot when I got home after work. I never imagine where that tragic event would take us. 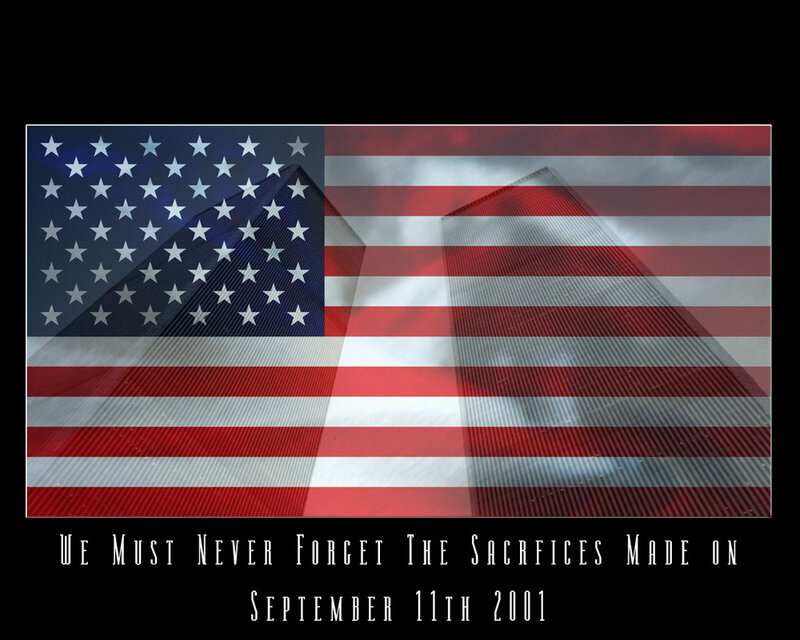 Never forget, never forgotten!! T hanks for sharing Doc. I was at home with my friends playing a computer game when I got a call “Turn on Sky News” Within 10 minutes we seen the 2nd plane hit. We all just sat there silent as the day passed, over here in tiny Edinburgh the sound of an plane put us on edge. 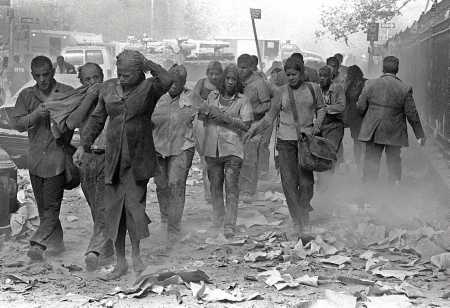 Whatever happened that day, take away all the mystery and stories from police and firefighters who said they heard a LOT of bombs..
Effecting 10’s of thousands of lives all over the World.. The day that changed our World..for the worst. Great post Anne, very brave to share this..
9/11/01 was a life changing day for the whole world. We are still learning from the experience as well as mourning thirteen years later. Thanks for sharing. 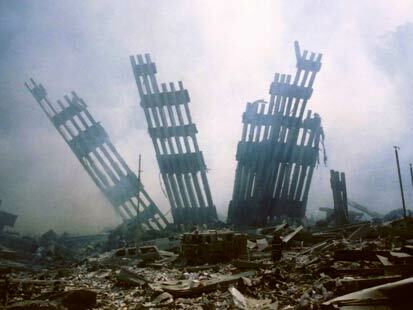 And yeah, day that changed our world for whatever reason..RIP to all that were lost to us. Seems that no matter where in the world we were, we will never forget those images, those minutes, hours, and days that followed. Terri, how good to hear from you. I think you hit the nail on the head with that feeling that we all had that “this couldn’t happen here!” We each have a story and thanks for sharing yours! 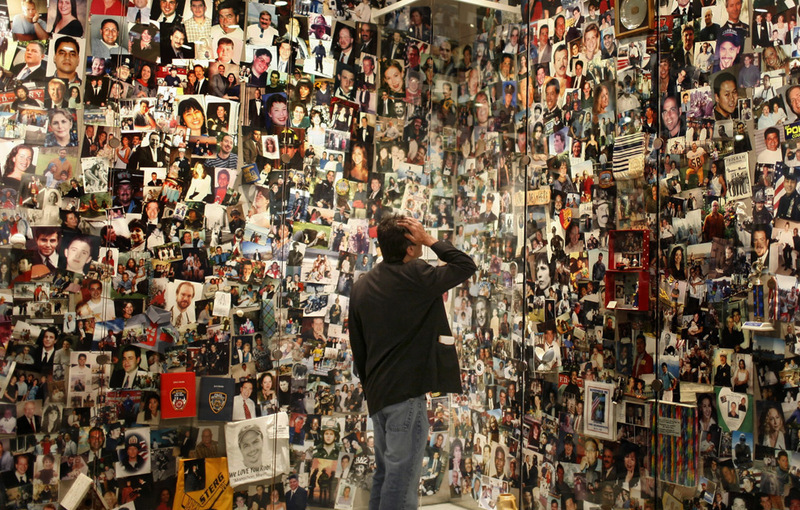 Every year after 9/11/01, I would share this story with my class. This is a sad event in the history of the world. Today, I reblog My Story for you my readers! I was having trouble with finding the reblog until I finally saw it saw it at the very end , under the likes. . . at least on my computer. Thought of you when the Scottish pipers with the drummers help memorialize the sad day! Wow, thanks for the reblog! So glad to hear from you my friend! How are things going? Lots of articles published?